One of the smartest things a first time home buyer can do is to do their homework on the process of purchasing real estate so they can adequately prepare themselves. 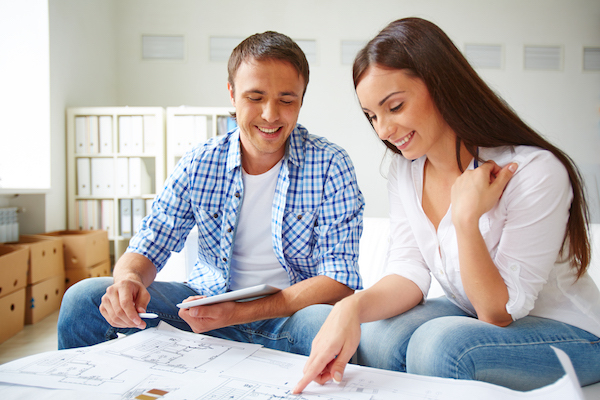 The journey to owning a home can be a complicated one, so it’s important to have a good understanding of the process and what you can do ahead of time to make it go smoothly. A great place to start is right here on North End Pads, where we provide valuable information and services to help first time home buyers navigate the path to ownership! Below you’ll find some tips on how you can prepare yourself for purchasing a home and prevent some common mistakes first time home buyers make. Buying a home will be one of the largest investments you will ever make in your life, so it’s imperative you take a thorough look at your finances to be able to see what you can afford. More than just looking at your income and your expenses, you should also take a look at your credit report to make sure you’ll be able to secure financing for the homes that fit into your budget. Once you’ve assessed your financial situation, you can use our mortgage calculator tool to see what price range you will use to narrow your search options. It’s also a great idea to get pre approved for a mortgage so sellers will know you’re a serious buyer when you make an offer. Once you have a good idea of what your price range is for purchasing a home, you can utilize our enormous database of property listings to find the perfect home that falls within your budget. The last step is to get connected with a reliable real estate agent who can help you guide you through the buying process. By doing so, you’ll receive knowledge and guidance from someone who knows the real estate buying process inside and out. North End Pads was created by a network of the some of the most experienced real estate agents from some of Boston’s best agencies, so you’ll be able to get connected with an expert real estate agent right here by simply filling out our contact form below. By taking the time to complete these steps prior to beginning your property search, you’ll be well on your way to becoming a home owner!